The upcoming 69th CFA Institute Annual Conference will explore the risks, opportunities, and challenges facing the global investment profession under the theme of “Investing in a Changing World.” Ahead of the conference, we are delighted to share some thoughts published in CFA Institute’s Conference Proceedings Quarterly by speakers at some of our recent events. What could possibly go wrong? After the U.S. Federal Reserve cut interest rates to zero and, when that didn’t work, began quantitative easing (QE) to force banks to lend and stimulate the economy in 2008, it was to loud applause from investors. Doubters wondered only whether the measures were too little or too late. Now in 2016, the same can is still being kicked along an ever bumpier road. “Further stimulus,” “negative interest rates,” “normalized interest rates,” “currency wars,” “unwinding,” and “helicopter money” — such is the contradictory lexicon of our era, the most disagreeable central banking backdrop for many investors in living memory. A long list of obstacles stand in the way of bond market normalization. Karin Kimbrough, of Bank of America Merill Lynch Investment Management, speaking at the 2015 CFA Institute Fixed-Income Management Conference, noted a disparity between monetary and fiscal policies in the United States: “the things that support productivity, growth, and potential growth are being dragged down by a lack of concerted effort by the two wings of policy.” And to add to the lack of convergence, whilst the QE trade is beginning to unwind in the United States, QE policies are still being aggressively pursued elsewhere in the developed world. Powerful demographic trends are also weighing down interest rates at the long end of the rates curve, according to Kimbrough. “Older populations are not looking for lots of credit… so they are not sensitive to interest rate changes.” Meanwhile, “If nothing changes, we will have a sort of bipolar world, where developing markets are young and growing rapidly and advanced economies are getting older and slower,” Kimbrough said. Overall rates seem likely to remain lower for much longer. Delegates at the 69th CFA Institute Annual Conference in Montréal will examine this topic in greater detail during a plenary session: Paradigm Shift: The Changing Global Bond Market and Implications for Investors. Perhaps the strangest puzzle of the post-financial crisis period is that whilst stockmarket valuations were torn to shreds by events that seemed to leave the whole Chicago school of scholarship (and the Efficient Markets Hypothesis) under a cloud, why did the practitioner discipline of active management fail to enjoy its “finest hour”? After all, exploiting inefficiencies is what active managers are there to do. With active managers under heavy fire, the efficacy of benchmarking and performance measurement has inevitably come under scrutiny. Colin Morrison discussed “Active Share: Key Insight or Flawed Measure?” at the most recent CFA Institute GIPS Standards Annual Conference, warning against viewing active share as the “Holy Grail” of investing, a surefire way to identify tomorrow’s outperformers and avoid the dog funds. 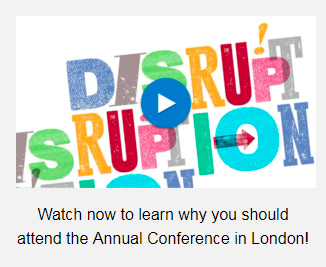 Increasingly topical, and popular at the CFA Institute Annual Conference in Frankfurt last year, are topics relating to sustainability in investing, particularly around environmental, social, and governance (ESG) topics. Christoph M. Klein, CFA suggested that operating in a socially and environmentally sustainable manner can actually help businesses reduce their cost of capital. For investors, Michael Viehs argued for three ways to achieve responsible (or ESG) investing in a credible, trustworthy way: exclusion strategies, inclusion strategies, and active ownership. Amidst this unsettled backdrop has emerged widespread admiration, even from Americans, for a successful approach to large-scale investing now known as “the Canada model,” which features low costs, rigorous governance structures (free of political interference), and high weightings to direct investments, notably into infrastructure. At the 69th CFA Institute Annual conference in Montréal, Ron Mock, Dana M. Muir, Michael Sabia, and Miville Tremblay, CFA, will discuss Best Practices in Fund Management: Lessons from the Canadian Public Pension Model. Policy Divergence and Investor Implications by Karin Kimbrough In recent years, many central banks around the world have instituted quantitative easing (QE) policies to help spur growth in their economies. In the United States, the QE trade is beginning to unwind, but QE policies are still being aggressively pursued in other developed economies. This monetary policy divergence between countries, coupled with aging populations in advanced economies, has important implications for interest rates and fixed-income markets. Global Bond Market Trends and Flows and the Effects of Regulation on Liquidity by Joyce Chang The implementation of financial regulations, quantitative easing, changes in market structure, and a lack of liquidity are shaping today’s investment environment. Market fragmentation is greater, and market depth is declining. As the markets continue to adjust to the post-crisis world and financial industry participants face an unprecedented number of regulations, agencies need to work together to create a harmonized set of regulations and to address the problems surrounding liquidity. The Fallibility of the Efficient Market Theory: A New Paradigm by Paul Woolley The efficient market theory has failed to explain the market behavior and asset pricing of recent years. A new model that incorporates the principal–agent problem and addresses the dilemma of asymmetric information explains what has previously been unexplainable. Active Share: Key Insight or Flawed Measure? by Colin Morrison Some are regarding active share as the “Holy Grail” of investing—that is, a surefire way to identify tomorrow’s outperformers and avoid the dog funds. Certainly, the computational simplicity is appealing, but unwavering devotion and unwitting reliance on the measure can lead to dubious conclusions. The reality is that the calculation might be the only simple thing about active share. Integrating ESG into the Fixed-Income Portfolio by Christoph M. Klein, CFA The benefits of considering environmental, social, and governance (ESG) factors have propelled the strategy into mainstream investing. Integrating ESG factors into fixed-income analysis can reduce idiosyncratic and portfolio risk and improve portfolio performance by helping investors anticipate and avoid investments that may be prone to credit rating downgrades, widening credit spreads, and price volatility. Understanding ESG Investing: Fundamentals and Implementation by Michael Viehs Operating in a socially and environmentally sustainable manner can help businesses reduce their cost of capital. Investors who evaluate businesses according to their performance on sustainability issues do not have to give up financial returns because sustainability in corporate behavior leads to long-term financial benefits. Active ownership is the strategy that will yield the best financial and sustainable results for investors. This entry was posted in Alternative Investments, Economics, Fixed-Income Management, Portfolio Management, Standards, Ethics & Regulations (SER) and tagged Active Investing, active share, Central Banks, Chicago School, Efficient Markets Hypothesis, ESG, QE. Bookmark the permalink.